Ubisoft already confirmed Assassin’s Creed Odyssey is a live service game back in June. We can expect to see frequent content updates and paid DLC probably for the full year it’s on the market before another takes its place. Maybe this new Assassin’s Creed will be “the best Assassin’s Creed ever made,” as Senior Producer Marc-Alexis Côté said in a “Making of” clip published late last month. While that’s all speculation, what we do know is Ubisoft has officially given details on what to expect from this year’s Assassin’s Creed editions. 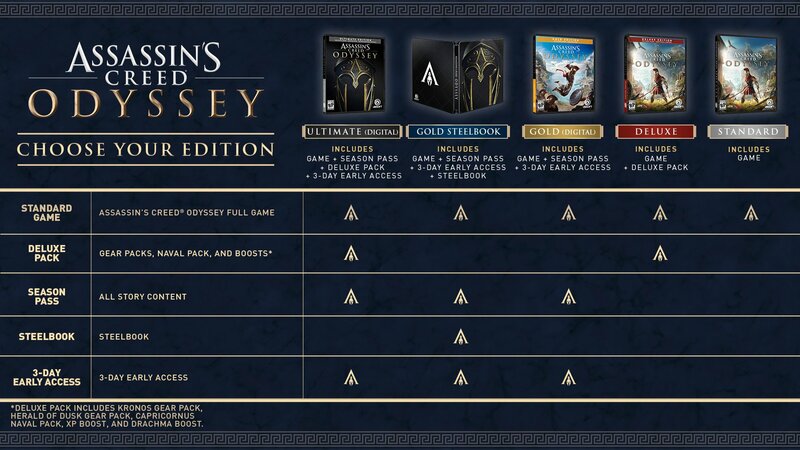 Aside from the usual “additional mission” here and “armor/weapon set” there, you also get the game three days early in both the Gold and Ultimate editions. But to get it a whole three days early, you need to spend an extra $40 and $60, respectively. Other than early access, what else do you get for the extra cash? Check out the preorder bonus guide Ubisoft recently released. And look underneath the photo for a full breakdown of the preorder guide. Access to multiple large download contents scheduled to be distributed after release. Details of the season pass will be announced at a later date. 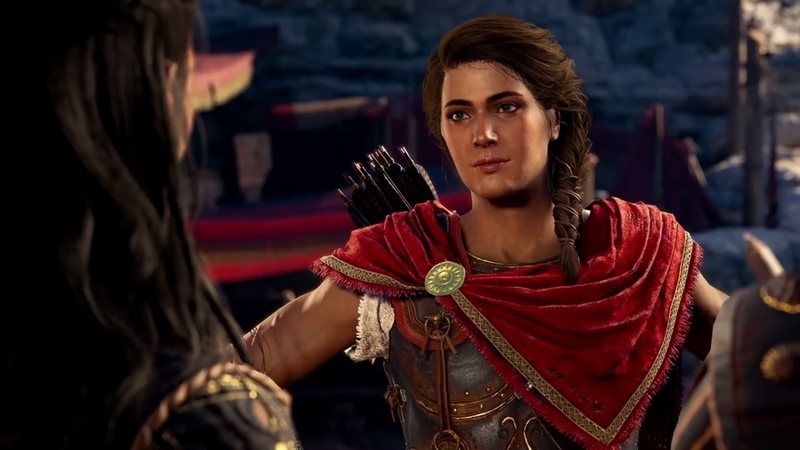 Assassin’s Creed Odyssey will launch on October 5 for PC, PlayStation 4, and Xbox One.